I only recently heard of the brand Coros. They are a quiet, but strong contender in a market dominated by Garmin and Suunto. Coros offers two GPS watches: the Pace and the Apex. The Apex comes in two sizes, 46 mm and 42 mm. The larger watch boasts a 35 hour battery life in full GPS mode. The smaller one 25 hours. I bought the big one. When I say big one it still looks small next to my Suunto Ambit3 Sport and it is very light on the wrist. You can adjust the GPS accuracy downwards to go up to 100 hours, but it can be charged while recording so I will opt to charge on the go with an Anker and maintain higher accuracy when that situation arises. Yesterday I took the Apex out in the Chuckanuts for a first run. I was having a bad day and went slow and took lots of breaks that I paused it during. It ended up recording 10.0 miles on a route my Suunto had previously recorded as 11.4 miles. I ran the Strava app on my iphone as a control and it clocked 12.0 miles. They were both wrong in opposite directions and I wasn't sure what to think. Everything else was awesome on the Coros so I was nervous. I wanted all of its positive features, but I didn't want a watch that measures short. 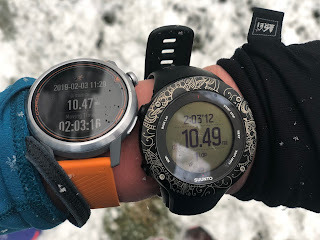 Today I decided to test it head to head against my Suunto that has a pretty accurate history with mileage (just tends to get pace very wrong when synced to Strava lately and loses map segments at random.) My thought was that comparing them under the same level of cloud cover, atmospheric pressure, temperature, and other possibly influential factors would better ascertain if Coros measures short. I will pretend I picked the route to offer 6 miles of largely open urban trail and 4 miles of technical trail with elevation change under tree cover to test them in two terrain scenarios simultaneously. In reality, I haven't really felt like running this weekend and this was the laziest route available to me. For equality I decided to not pause either watch the entirety of the run and count on each watch's auto pause to adjust out the various photo taking breaks, one pee stop, and one quick convo stop when I ran into a friend. The Apex knocked 9 minutes off when it synced to Strava which sounds about right for my lazy day. At the end of my run the Coros read 10.47 miles and the Suunto 10.49. Not a material difference at all! That was all I needed to see to be 100% sold on the Coros. Side note, it sells for a very reasonable $350, notably less than Suunto or Garmin watches with equivalent features. The Apex provides a lot of data, both while in use and in the Coros app once synced. It has wrist heart rate, tracks cadence, provides average stride length, gives current elevation, total ascent and descent and I caught it taking my skin temperature the other day. It likely has a lot of other features I am not aware of as today is Sunday, it was delivered to my office on Friday, and we have only had 20.5 miles together so far. I wanted to regain heart rate tracking in my training in my quest for a new watch. My Suunto came with a chest strap that started malfunctioning 6 months in. I had it replaced under warranty and the second strap went bad within 4 months. Beyond the reliability issues chest straps aren't very fun to wear with sports bras. The wrist HR on the Coros was appealing. The app provides average, high, low, and time in each HR zone in addition to some nice charts. Also charted were my cadence, pace, and elevation. Based on what my average HR used to be when my Suunto strap still functioned the Coros HR data seemed reasonably accurate. It also comes with multiple straps for color variety and a huge variety of digital watch faces can be used. The operation is two button, feels simple in a good way, and I like how the back-light will come on from purposeful wrist movement rather than requiring a button. 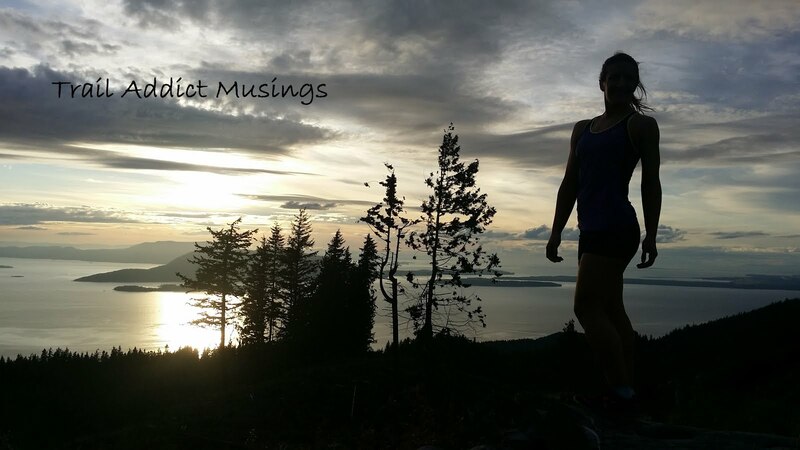 I have a 50k coming up late this month and am excited to have the Coros with me for the race. I will be in the mid-pack per usual but my new watch is an Apex predator amongst the GPS crowd for certain.